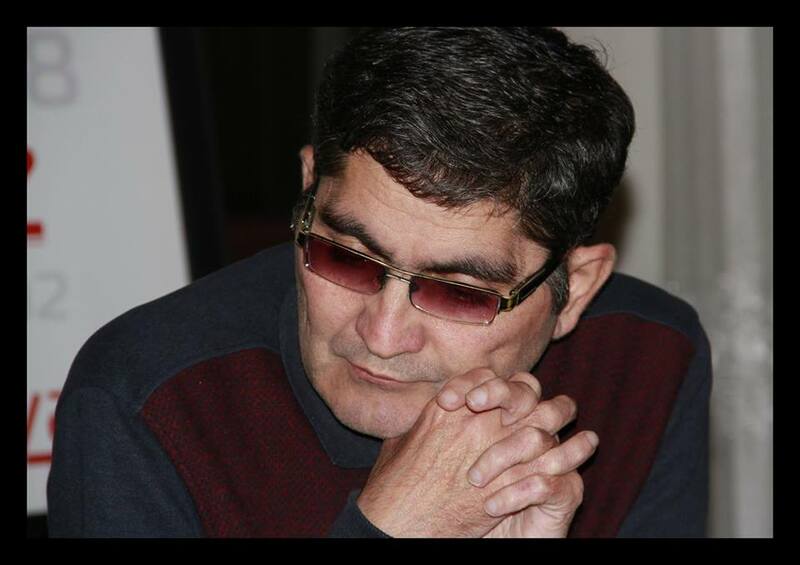 1905.az web portal has interviewed the MP Elkhan Suleymanov of Shamakhi, who is the President of the Association for Civil Society Development in Azerbaijan. – Mr. Suleymanov, ten years have passed since the establishment of the Association for Civil Society Development in Azerbaijan. Since the first days of its establishment, the Association has been highlighting the Armenian aggression against Azerbaijan and ways to put an end to the aggression. What are the main projects carried out over the years can be pointed? – The Armenian aggression against Azerbaijan, in fact, is a part of the policy of genocide and deportation which has been implementing since 1828, after the relocation of the Armenians in our territories. This must be one of the most important duties of our citizens and every single organization to convey to the world community the deplorable situation which our country is facing as a result of the aggression. If you simply pay attention to the title of the Association’s member organizations, you can see how sensitive attitude we have towards this issue. Organizations which both are directly and indirectly related to the issue of defending the rights of refugees and internally displaced persons, human rights, monitoring places of detention, and so on joined the Association. The Association hosted numerous conferences and symposiums, published several books in foreign languages related to our nationwide problem. The Association has also organized events with large-scale media coverage to commemorate the Khojaly genocide which was actually the most dramatic point of the Armenian aggression against Azerbaijan. In 2006, we gathered materials on the tragedy, the testimony of witnesses, facts, news in the world press and then published them in a book titled “Khojaly Genocide (documents, facts and foreign press),” in Azerbaijani, English and Russian languages. 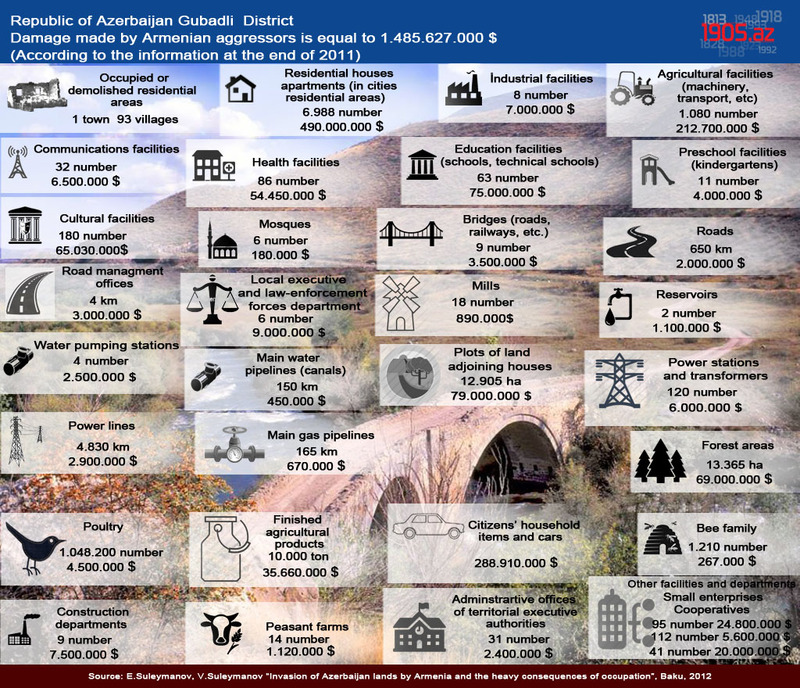 In 2012, karabakhinfo.com, an international electronic journal affiliated with the Association was launched. Karabakhinfo.tv also succeeded in attracting the attention of audience owning to its interesting content. In 2012, a book untitled “Armenian aggression against Azerbaijan and heavy consequences of the occupation,” authored by me and a PhD in economics, Vurgun Suleymanov, was also published. The book for the first time examined the issue of the material and moral damages caused to Azerbaijan as a consequence of the Armenian occupation in a comprehensive way and the damage inflicted on the country was estimated to be $ 431 billion. It should be noted that the mentioned book was published in English in Washington D.C, in French in Paris, in Russian in Kiev and St. Petersburg, and in Arabic in Baku. 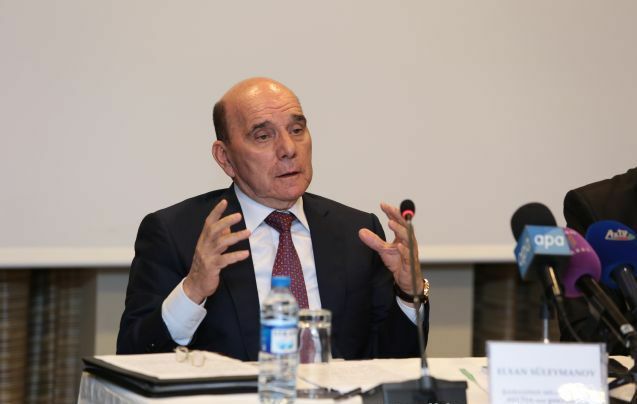 – When it comes to the subject of the projects implemented by the Association concerning the Armenian aggression against Azerbaijan, the “SOS Sarsang” is one of the main projects in this regard. Could you provide a little bit comprehensive info on this project for our readers, please? – Sarsang Reservoir which is under Armenian occupation for 23 years has become a source of real threat for 400 000 civilians living in six frontier regions. There is no doubt that the Armenian authorities can misuse the fact that the reservoir is situated in upland territories at any time and commit the mass murder of the Azerbaijani population of the war zone in a preplanned and deliberate way. Through the “Sarsang SOS” project we intend to direct the world community’s attention to dangerous situation caused by poor maintenance as a result of the occupation of the Sarsang Water Reservoir of vital importance for Azerbaijan’s surrounding regions’ population and the threat of destruction. The project first was proposed during the annual meeting of the Parliamentary Network of the World Bank and the International Monetary Fund, as well as in an international conference named “Geopolitics and energy security” held in Vienna on June 10 and speeches were made on the gravity of the issue with the water reservoir. Competition entitled “Call for Sarsang” was organized for journalists and young artists. An international conference and regional meeting entitled “Sarsang SOS” was held in Tartar and the city of Yevlakh, respectively. List of the historical and cultural monuments facing the danger of destruction in the event of any accident in the Sarsang reservoir was also included in a booklet. Finally, despite all the pressures in May 2014, a rapporteur was appointed on the draft resolution “Inhabitants of frontier regions of Azerbaijan are deliberately deprived of water” submitted by me at the May 12 meeting of the PACE Committee on Social Affairs, Health and Sustainable Development in Nicosia. In December I met Milica Markovic, the rapporteur appointed by the Council of Europe and delegation accompanying her. During the meeting we discussed issues related to social- environmental crisis caused by the reservoir, the miserable situation with the water supplies in Barda, Aghdam, Tartar, Goranboy and Agjabedi districts in detail. I hope that the rapporteur will prepare a fair report on the issues raised by us. – By the way, the adoption of any document concerning the Karabakh problem in the European organizations faces fierce resistance. However, last year another rapporteur was appointed based on a draft resolution “escalation of tension along the Nagorno-Karabakh and other Azerbaijani territories” submitted by you. How was it difficult to achieve this appointment? – Unfortunately, in many cases, the international community considers Nagorno-Karabakh as a disputed territory between Armenia and Azerbaijan, and this problem is presented as a conflict. However, it is not a conflict and it is actually Armenia’s aggression against Azerbaijan. Armenia waged a war against Azerbaijan and occupied Azerbaijani territories in a military aggression. Although Armenia is the invader and Azerbaijan was subject to the occupation, no differentiation is made between Armenia who is aggressor and Azerbaijan whose territories have been occupied. Quite the contrary, in most cases, Armenia is protected. None of international organizations impose sanctions against the state of Armenia which to some extent creates an opportunity for them to continue with their occupation policy. 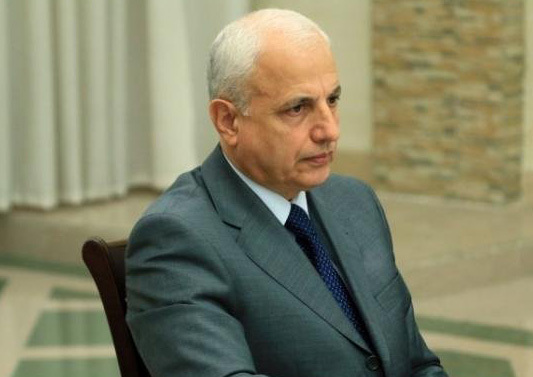 I should note that the Armenian authorities, pro-Armenian groups inside the PACE, pro-Armenian forces in the world powers, not only prevent any document exposing the aggressive policy of Armenia, and demanding the application of sanctions against the aggressor country from adoption, but also mobilizes all its resources in order to prevent the preparation of such documents. On October 1, the Political Affairs Committee of the Parliamentary Assembly of the Council of Europe appointed a rapporteur to produce a report on the issue of “the escalation of tension in the Nagorno Karabakh and other occupied territories of Azerbaijan” adopted on September 2 by the PACE Bureau based on a draft resolution submitted by me on September 2 which was later approved on September 23. The newly appointed rapporteur is a British MP, Robert Walter. There were two main issues discussed at the meeting of the Political Affairs Committee – changing of the name of the report and the appointment of the rapporteur. Members of the Armenian delegation resorted to every possible way to change the name of the report. Speaking at the meeting, the Armenian deputies said that they would cease their cooperation with the PACE and the rapporteur if the name of the report is not changed and a new rapporteur is appointed. However, at the end of the voting procedure the name of the report left unchanged and remained as it was earlier “the escalation of tension in Nagorno-Karabakh and other occupied territories of Azerbaijan “. This is a crucial point for us and demonstrates the successful foreign policy conducted by the President of the Republic of Azerbaijan Ilham Aliyev. We hope that the rapporteur while preparing a report on “the escalation of tension in Nagorno Karabakh and other occupied territories of the Republic of Azerbaijan” will ignore pressures from the Armenian government, pro-Armenian forces inside the PACE, leading pro-Armenian powers and submit a fair report. We hope the report will underline the fact that Armenia is the aggressor and that it have committed mass crimes against civilians in the occupied territories and will urge the international community once again to impose sanctions against the aggressor Armenia. A motion for resolution on ensuring the right of Russian citizen Dilgam Asgarov and an Azerbaijani citizen Shahbaz Guliyev, imprisoned by the puppet court of the separatist regime, to fair trial was submitted to PACE Secretariat. We hope there will be a progress in this issue as well. – For five consecutive years, you are representing Shamakhi at the Azerbaijani Parliament. It is known that the terrible events of the March-April 1918 Genocide committed by the Armenians against Azerbaijan took place in Shamakhi. – Indeed, Shamakhi is differentiated by other regions both in terms of the number of victims and the scope of the massacres committed by the Armenians. Armenians tried to seize the opportunity and occupy Shamakhi which was the then provincial center. In March 1918, Armenian Dashnaki gangs affiliated with the Baku Soviets and led by Stepan Shaumyan, and especially by his assistant named Lalayan, an Armenian with Shamakhi origins, committed carnage of the innocent people of Shamakhi, in the true sense of the word. The Shamakhi Genocide is one of the most terrible crimes in the history of mankind. Therefore, the dissemination of the truth about the genocide is one of our main priorities. The Association has been implementing the project “Traces of the Armenian terrorism in Azerbaijan- the Shamakhi Massacre (1918)” since March 2011. As a part of the project, an international conference was held at the high level in Shamakhi in March 2011. In order to convey the truth a book on the Shamakhi massacre was published in Azerbaijani and English and distributed in various countries. In March 2012, a scientific-practical conference on the theme of “Crimes against humanity, the Shamakhi genocide ” was organized in Baku. In the continuation of its activities to make the world community aware of the crimes committed by the Armenians, the book titled “Shamakhi in target of red terror (1930-40s repression years)” was published in October 2012. Generally speaking, we have enough work to do in this field. – Mr. Suleymanov, on March 28, 2014, “1905.az” web portal, a new project initiated by you, was presented in the city of Shamakhi. Almost 10 months have passed since that day. How did this project meet your expectations? – It is known that the Armenians committed genocide against our people several times in the history. In fact, they started to carry out such policies since their very arrival in the region. They always received practical support from the Russian Empire. Our famous scholars conducted researches and produced fundamental scientific works on this topic. Unfortunately, the world community was not aware of such works as these books had been written in Azerbaijani or Russian languages. I have to note with regret that the Armenian allegations were prevail and widespread for many years. 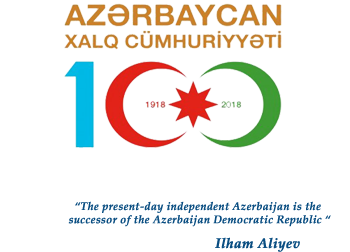 Our main goal from launching the “1905.az” portal was to make the world community aware of the genocide to which the Azerbaijani people was subjected, their deportations from their historical lands, as well as Armenia’s aggression against Azerbaijan, through disseminating the truth in 12 languages using the modern technology. Today tens of thousands of users from more than 100 countries around the world access to these data through “1905.az” web portal on a monthly bases. The portal acted as a platform for well-known historians and conveyed their interviews and articles to foreign readers while translating them into foreign languages. Various discussions are held concerning the main topics of the portal with the participation of scientists and researchers. In my view, the essay contest held among schoolchildren on the topic of the “Shamakhi Genocide,” and the “Historical story contest” for readers were among successful projects launched by the “1905.az” web portal. The staff attaches a great importance to the visual effect of the portal and produce interesting “wallpapers” using different infographers, videos, photos of historical monuments in the occupied territories. I would like also point out to the successful cooperation between the “1905.az” web portal and the Heydar Aliyev Heritage Research Center (aliyevheritage.org). I mean, “1905.az” website benefits from materials, including speeches delivered by Azerbaijan National leader Heydar Aliyev on various topics, letters and statements published by the Heydar Aliyev Heritage Research Center’s website. In other words, although it is not a long period, however we can surely say that, the web portal approved itself. On the eve of the 110-year anniversary of the 1905 Genocide and 100th anniversary of the so-called “Armenian Genocide” we have to further intensify our fight against the Armenian lies. I have to highlight this point once again. Imagine that, the Armenians perpetrated genocide against the Azerbaijanis 110 years ago, but, the world is speaking of the so-called “Armenian Genocide”, and the 100th anniversary of such fabricated lies. From the point of conveying historical truth to a wide range of audience, we are looking for even greater achievements from the “1905.az” web portal. As an Azerbaijani and as a MP, I consider “1905.az” web portal as food for my soul, which exposes uncountable crimes committed by the Armenians. Here I would like to express my thanks to the 1905.az web portal staff. Editorial-Scientific Board of the web portal is led by a corresponding member of the National Academy of Sciences of Azerbaijan, historian Ilyas Babayev. I wish the director of the portal, PhD in political sciences, Fuad Babayev, all the staff members, the authors who cooperated with the 1905.az web portal and the valuable researchers every success. – We are grateful to you. Thank you very much.